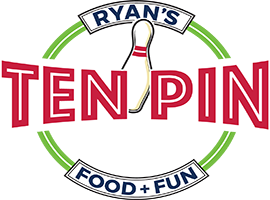 Ten Pin Eatery at the Cape Cod Mall is an innovative collaboration that's meeting both the demand for family entertainment and redefining the traditional mall anchor. First, Ten Pin Eatery is upscale and hip. It offers a marble 45 seat bar, a restaurant, a party area near bowling lanes and an arcade with more than 50 games. And, in the summer, there's live music. Our Cape Cod Mall Family Entertainment Center offers great entertainment options and amazing culinary options to "wow" your guests for any occasion. Also, we offer 11 Bowling Lanes, an Arcade Game Room, Laser Tag, 2 virtual reality arenas, and 3 escape rooms. So, if are you hosting a corporate event, a birthday party, a bachelor or bachelorette party, having a date night, or a night out with the family? We have a variety of entertainment and culinary options to enhance your experience. Most of all, groups of 25 or more will work with our experienced sales team to ensure that the event exceeds your expectations. Contact us for more options available for your special event! Ryan Family Amusements celebrates over 50 years in the family entertainment business. In May of 1958 owner James A. Ryan opened an eight lane bowling alley in Needham MA, under the Post Office. Over the years he has opened other bowling centers in Quincy, Falmouth, Avon, Raynham, Buzzards Bay, South Yarmouth, Malden, Hyannis, Boston and Millis MA. Hence, he has also opened arcade game rooms in the Cape Cod Mall, Hyannis, Emerald Square Mall, Martha’s Vineyard and Newport RI.